The Ultimate Wadi Rum Experience includes the following and will ensure that you leave Wadi Rum with a broad understanding of the region visiting all major landmarks and sharing time within our culture while experiencing local customs and enjoying local meals and cooking techniques. 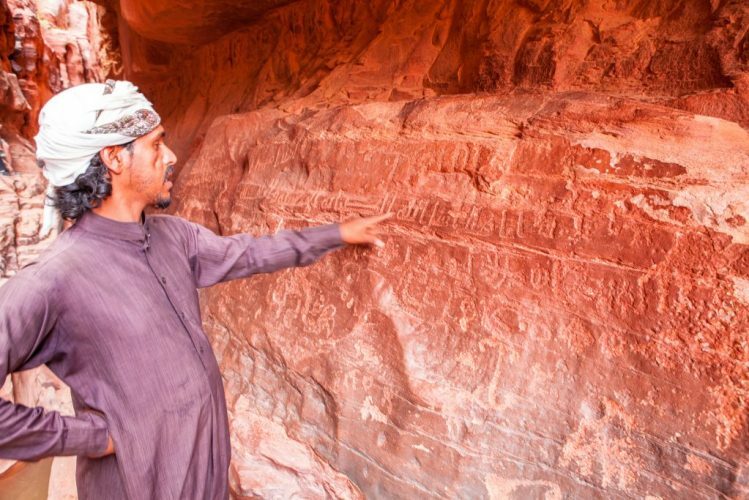 You will have the opportunity to see the stunning landscapes, and natural rock formations, the historical landmarks and ancient rock inscriptions, the stunning star gazing each evening and the warm hospitible desert bedouin culture. 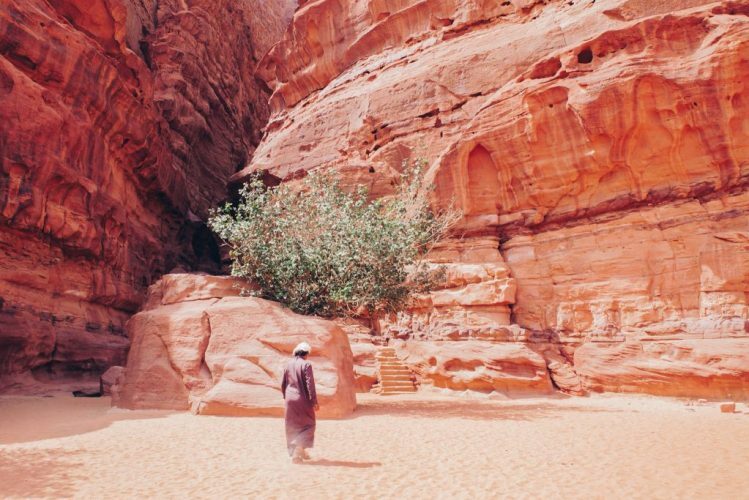 The Compact Wadi Rum Tour is tailored to those who want to maximise their experience in Wadi Rum but only have a single day to enjoy the UNESCO listed protected area. It ensures that within a stay as short as 24 hours visitors are able to get a good overview of everything that Wadi Rum has to offer. The Wadi Rum Active Experience is a 2 day package designed for guests who are attracted to the adventure of the Protected Area. With rock arches, Jordan's highest peaks, sandstone cliffs and breathtaking landscapes, we offer guests a package designed for those who are motivated to take an active approach to their Wadi Rum visit. Each day will have a morning focus on scrambling, with less active sightseeing as the heat of the day arrives. Wadi Rum has grown in international recognition and is now well established as one of the major tourist attractions in Jordan and the Arabian Peninsula. Particularly in Spring and Autumn it is common for large numbers of tourists to visit the area, usually all on similar itineraries to see the regions best known attractions. We acknowledge that some guests are not focused on these major attractions and are motivated to move away from the crowds in search of some lesser known attractions within the protected area. If this sounds like you then we have a package where you will be far from the other visitors to the area but will not have to miss the beauty of Wadi Rum. This package has been designed to give guests a broad range of culture, trekking, sleeping outside in the desert, etc. If there are elements of this tour that do not appeal to you please inform us and we can customise to suit your requirements.